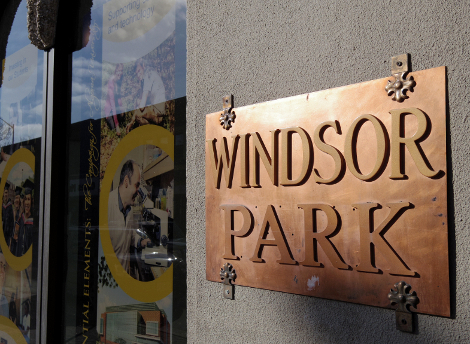 The Windsor Park building has been sold for $825,000. While not identifying the new owners, realtor James Caicco told SooToday Saturday "it's an out-of-town real estate developer that has local ties to Sault Ste. The Windsor Park building has been sold for $825,000. While not identifying the new owners, realtor James Caicco told SooToday Saturday "it's an out-of-town real estate developer that has local ties to Sault Ste. Marie, a real estate development family." "Right now the plan is to make it an upscale retirement residence," Caicco said. Caicco said the new owners plan to invest, by their own estimation, $2 million to $3 million into renovations to the building. "It's going to be complementary to the downtown," Caicco said. In a statement to Caicco which the realtor passed on to SooToday, the new owners write "As the new owners, we are excited to bring back the history and grandeur of the Windsor Park Hotel during its conversion to an upscale adult lifestyle retirement residence." "We will be renovating and restoring it from top to bottom while maintaining the original charm and nostalgia of this very special place on Queen Street in the heart of downtown Sault Ste Marie." It is not known when renovations will begin. The $825,000 paid for the building is much lower than the $2.9 million wanted by Algoma University, its most recent owner. Algoma University had been using the familiar, nine-storey landmark in the downtown core as a student residence since 2010. Declining enrolment and a tough budget passed by Algoma's board of governors in April for the 2015-2016 academic year forced the postsecondary institution to put the building up for sale. The building has had many names and uses over many decades. Before Algoma University's involvement, the building was known as the Windsor Park Retirement Residence, owned by Dr. Lou Lukenda. Lukenda acquired the bankrupt Windsor Park Hotel in 1996 before reopening the building as a retirement home. Previously, the Windsor Park Hotel was known as the Windsor Hotel, first built in 1895. The familiar high rise tower portion was built in 1931.